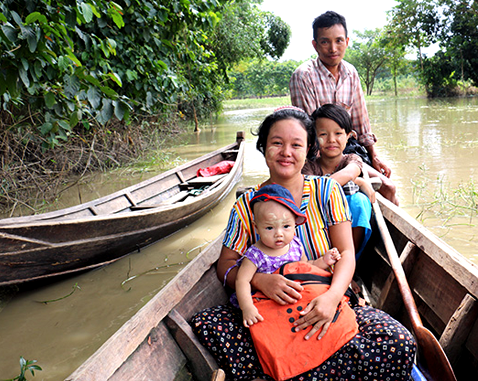 Myanmar is one of the countries at highest risk of natural hazards in Southeast Asia. Displacement has continued into 2018 with continued population movement from Rakhine State to Bangladesh, and armed clashes in Kachin and Shan States. In addition, the challenges faced by women are particularly pronounced in remote and conflict-affected areas, where women and girls are exposed to various forms of gender-based violence, trafficking and discrimination, including customary laws that inhibit land tenure, property ownership and inheritance. UNFPA supports a government-led Reproductive Health Technical working group at national level and the sexual and reproductive health working group (will be formally activated soon) in Rakhine.